The Common Career Technical Core (CCTC), Programs of Study and Industry-Based Standards were developed as a multi-step process incorporating input from approximately 3,500 individuals representing K-12 education, business and industry, and higher education from across the nation. The standards are built upon The National Career Clusters Framework. The standards white paper is helpful if you’re trying to identify which industries are aligned with specific programs of study and the extent to which they are aligned. 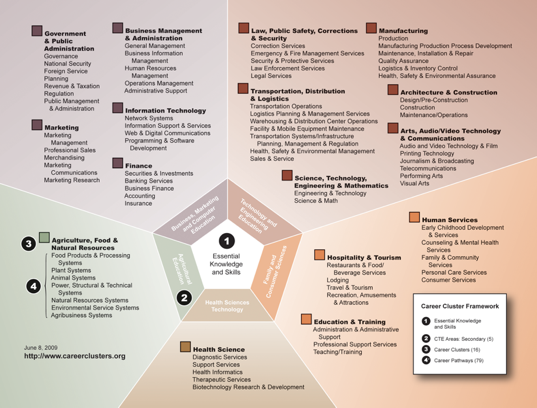 The National Career Clusters Framework consists of 16 Career Clusters, represents more than 79 Career Pathways, and includes knowledge and skills statements. Use the framework as an organizing tool for comprehensive understanding and to guide curriculum design with the purpose of bridging secondary and postsecondary curriculum. A new proposed sustainability/green category is also available with Green/Sustainability Knowledge and Skill Statements and tools and references to aid in the instruction of the Green and Sustainability Standards. As a reminder, Career Ready Practices should be applied throughout the continuum of learning. The Illinois Career Clusters, Pathways and Programs of Study complements The National Career Clusters Framework and serves as a resource in understanding Illinois’ adoption of the National Career Cluster Framework. 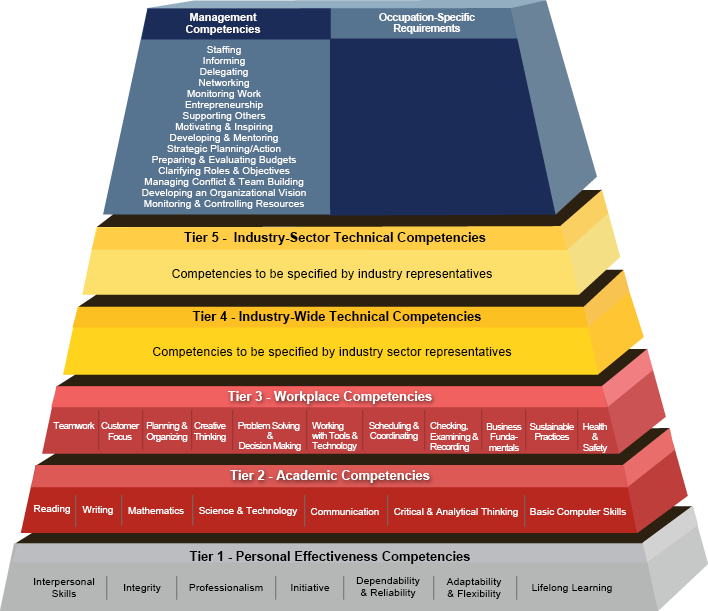 The Competency Model Clearinghouse initiative was developed in partnership between the U.S. Department of Labor, Employment and Training Administration and industry partners. The goal of the initiative is to promote an understanding of the skill sets and competencies that are essential to educate and train a globally competitive workforce. Currently, 26 diverse industry models exist including fundamentals of health care, cybersecurity, financial services and renewable energy. The Degree Qualifications Profile (DQP) outlines a set of reference points for what students should know and be able to do upon completion of an associate, bachelor’s and master’s degrees – in any field of study. The are five broad, interrelated categories of proficiencies which provide a profile of what degrees mean in terms of specific learning outcomes. The Rigor Relevance Framework was developed by the International Center for Leadership in Education to examine curriculum, instruction, and assessment along the two dimensions of higher standards and student achievement. 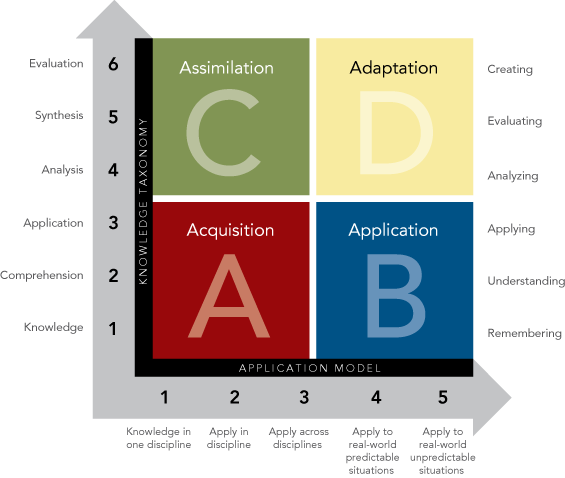 The tool can be used for both instruction and assessment. Includes using knowledge to solve complex, real-world problems and create projects, designs, and other works for use in real-world situations. 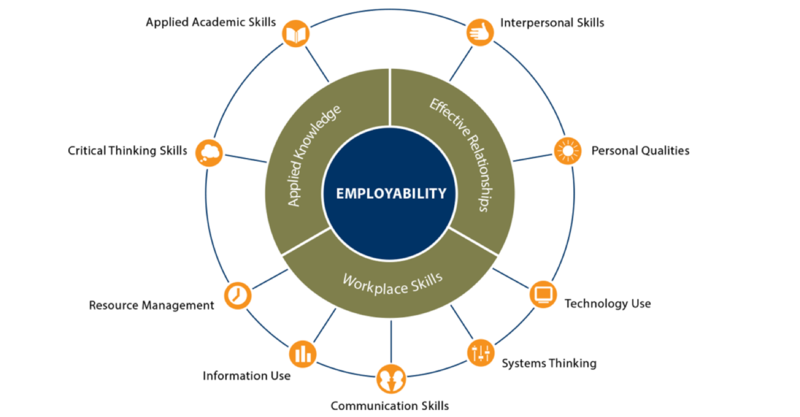 The U.S. Department of Education’s Employability Skills Framework is comprised of nine key skills, organized in three broad categories: Applied Knowledge, Effective Relationships, and Workplace Skills. The framework has supplemental information resources and tools to assist with informing the instruction and assessment of employability skills. Professional Learning Module (PLM, )Integrating Employability Skills: A Framework for All Educators. The collection includes PowerPoint slides, handouts, sample agenda, a workbook and tools.